Holy crap, it feels like I've had this bottle forever. To be honest I've been kind of dreading it, because Artezin looks like a great thing with a great crew behind it but... it's *yuck* Zinfandel. I'm not going to get into my issues with Zin for the hundredth time, but let's just say that myself and Zin have issues. 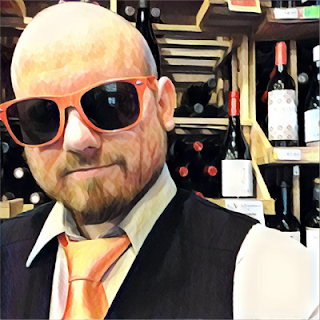 Artezin, a part of the Hess Family Wine Estates, was founded in 2002 and has had Randle Johnson as its winemaker since the beginning. 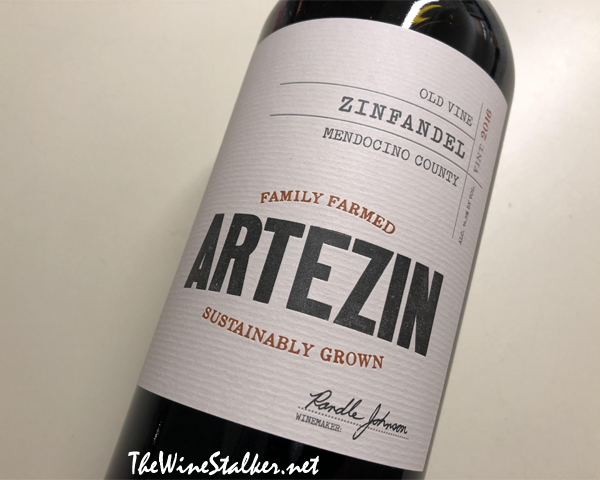 Artezin is focused on expressing classic Old Vine Zinfandel from Mendocino and parts of Sonoma by working with family-owned farms that have been growing Zin for generations. The 2016 Mendocino Zinfandel is 84% Zinfandel, 14% Petite Sirah, and 2% Carignan. It was aged for fifteen months in French and American oak, and has an ABV of 14.9%. The color of the wine is purple with a little bit of reddishness. You all know I love the burn of ethanol fumes up my nostrils, and boy does this have that. There's aromas of plums, pomegranate, strawberry licorice, black table pepper, spearmint, and mocha. On the palate it's full bodied and rich with sweet tannin. There's flavors of plums, raspberries, anise, and vanilla. The finish by far my favorite part. Raspberries continue but there's also an uplift into red fruit with cherries, a dip into darkness with mocha, and a classy touch of sweetness with burnt sugar, all giving the wine a pleasant twist. Alright, so... even though I love the finish, overall it's personally not my thing. But I've struggled with this varietal long enough to know that this is some quality Zinfandel and my friends and colleagues who are Zin people would absolutely love this bottle of wine. Artezin themselves call it a "Zinny Zin" and that's exactly what it is, but with much better quality than other Zins I can think of at the same price. So I'm giving this a Recommendation for all you Zin lovers. Enjoy, you wierdos!